Silná chuť kakaa s nádechem meruňky a černého čaje. 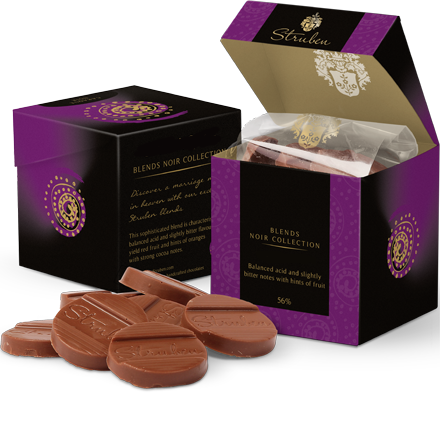 Struben Connoisseur Fine Chocolates | Premium, complex and luxury. Kazda cokolada Struben z Origins kolekce ma svou originalni a komplexni chut. 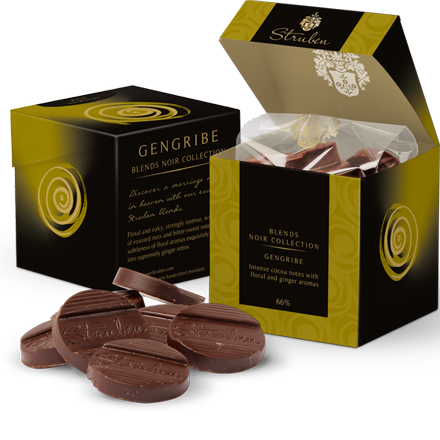 Struben decided to launch a milk chocolate couverture, which became Struben’s first milk Connoisseur Origin chocolate . Whilst retaining its origin in top quality cocoa, this couverture has increased the demand for the very finest cocoa, which has further strengthened our historic partnership and promoted local production of top quality cocoa. 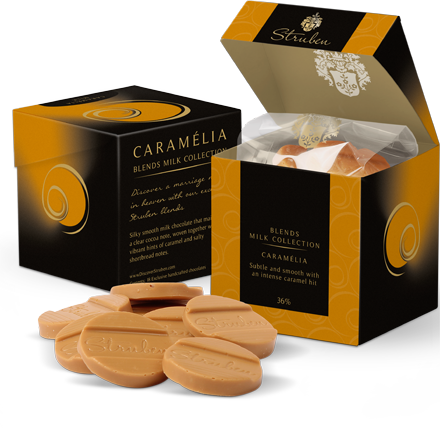 An indulgently milky, creamy flavour complemented by a sweet hint of caramel. Cocoa-growing has been going on for over a hundred years in southern Ghana, where the hot, sunny, yet rich and damp, soil provides farmers with one of the best cocoas in Africa. It all started with Tetteh Quarshie, who, having travelled to Fernando Po to work as a blacksmith, brought some cocoa pods back with him when he returned in 1879. He planted them in his garden, where they grew rather well. Gradually, other farmers began to buy beans from him and the cocoa- growing tradition began, owing to the extreme suitability of both soil and climate. Ghana began to export cocoa in 1891, and between 1910 and 1980 was the world’s leading exporter. In 1947, the government set up a national agency to oversee the development of the cocoa-growing industry, the Ghana Cocoa Board). 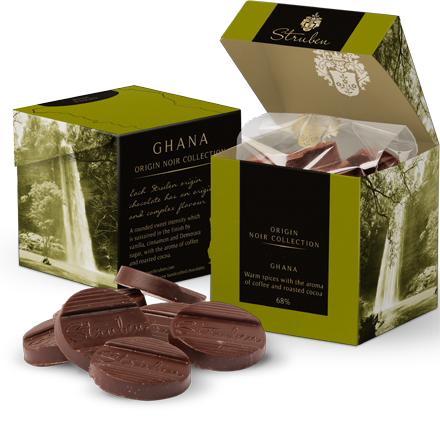 Quality and consistency soon became major issues in Ghana and since then Ghanaian cocoa has been renowned for its excellent quality. 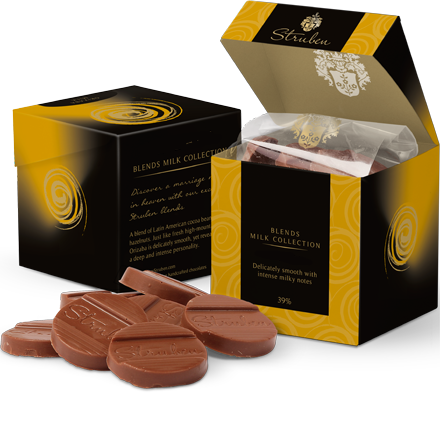 A rounded, sweet hit which explodes with great chocolate power. the intensity is sustained in the finish by warm spices like vanilla, cinnamon and demerera sugar, and the aroma of coffee and roasted cocoa. 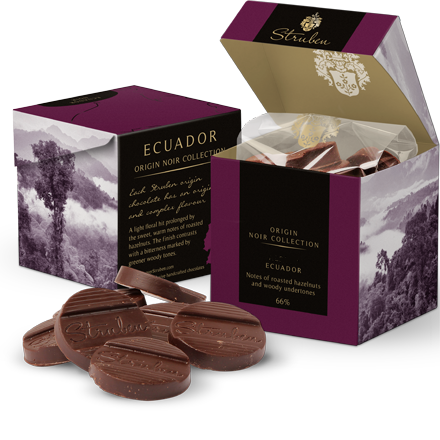 The countries of the Ecuadorian produce large quantities of cocoa and in the area known as the ‘golden triangle’ nestle some very old plantations, where the traditional local variety called ‘Nacional’ is grown. This variety’s beans also go by the name ‘Arriba’. It is thought that the first cocoa trees grew in the upper Amazon valley. Over time, cocoa pods dispersed by nature reached the coastal plains. 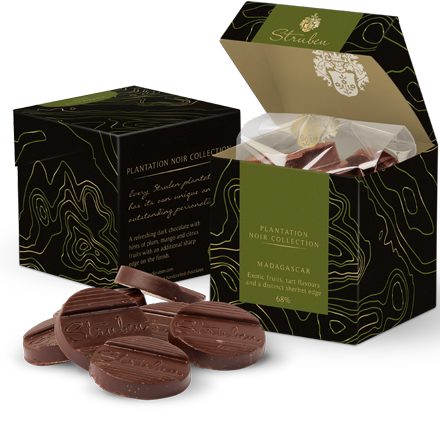 Protected by the Andes mountains from the arrival of other varieties, ‘Nacional’ gradually developed its own distinct characteristics and the mild, humid climate and rich soil made the region an obvious choice for cocoa growing as early as the 17th century. Shortfermentation processing preserves Nacional’s delicate floral aroma whilst rounding out the chocolate flavour. This combination of natural environment and local expertise is what makes this unique terroir the source of Struben’s subtlety. 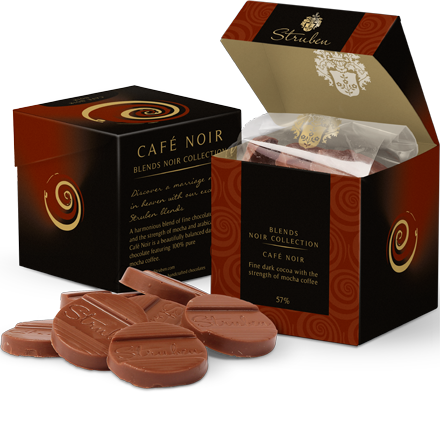 A light, floral hit prolonged by the sweet, warm notes of roasted hazelnuts. the finish contrasts with a bitterness marked by greener, woody notes. One of the richest ecosystems in the world, the Mata Atlantica, or Atlantic Rainforest, stretches out to the east of Bahia province. This tropical rainforest, badly depleted by intensive deforestation, has been designated a World Biosphere Reserve by UNESCO. To protect their crops from the weather whilst at the same time preserving biodiversity, the cocoa farmers use a system called ‘Cabruca’, whereby the cocoa trees are planted in the shade of banana trees and palm trees, or, higher up the mountain, other native species. For more than 20 years, Struben’s partners commitment to biodiversity and sustainable development has resulted in increased investments in this field, with the aim of providing producers with economic and social support. 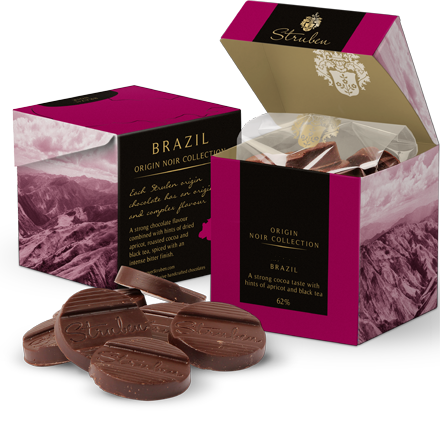 Brazil has a long history of growing cocoa and is currently the sixth largest cocoa producing country in the world. The combination of local farmers’ experience and technical support has resulted in a post harvest process involving both long fermentation times and drying in the sun, which together give the Macaé cocoa beans a strong, unique taste. 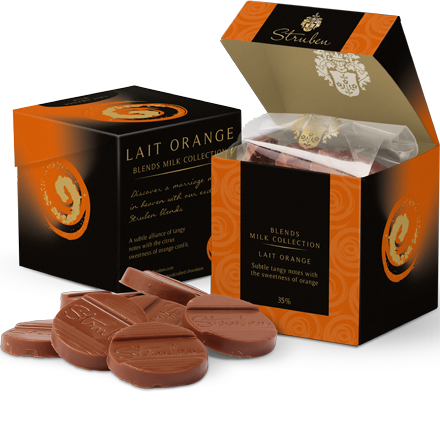 Strong chocolate flavor combined with hints of dried apricot, roasted cocoa and black tea, spiced with an intense, bitter finish. Objevte božské snoubení čokolády Struben s variací příchutí. The American Indian word ‘Araguaney’, the name of the golden leaved tree is the symbol of Venezuela. 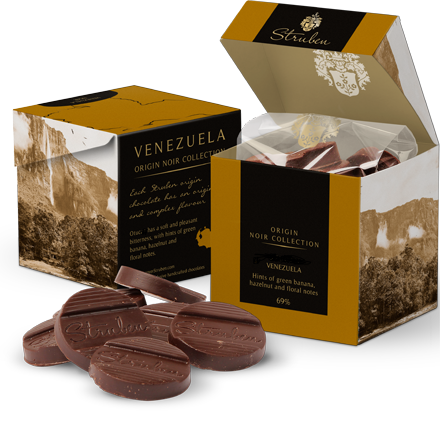 Venezuela is famous for its widely varied landscapes and climates, as well as for its cocoa and actually produces a number of different cocoas, all of which differ significantly according to their terroir of origin. The result is a strong determination to rehabilitate and combine cocoa beans from old Criollo and Trinitario varieties grown on a number of different terroirs in a production zone of high repute in the northwest of Venezuela. 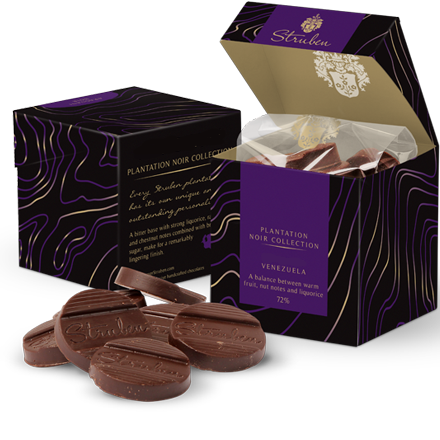 It took Struben’s sourcers nearly two years to find and identify the dozens of powerfully flavoured cocoas that make up this rich and complex Connoisseur cocoa. 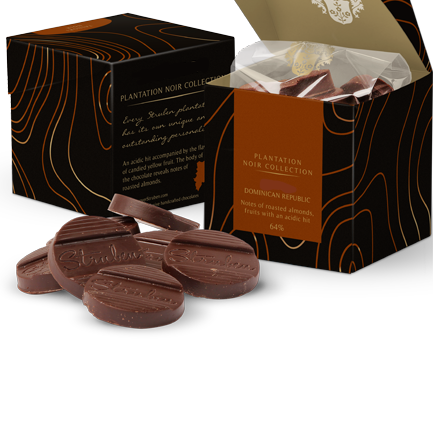 The couverture chocolate owes its distinct characteristics to the contrast between the soils of the Andean foothills and those of the sea air swept Caribbean coast. Každá plantáž Struben má svůj vlastní a unikátní charakter. In 1980, our partner started to explore the Indian Ocean, on its quest to find new flavours. On the banks of the river Sambirano, in collaboration with the Millot plantation, sourcers discovered some Trinitario varieties that had an original, powerful aroma. And started developing the new fermentation and drying processes that would succeed in producing this distinctive, recognisable, consistent flavour. The result was launched in 1993 and was quickly to become a great classic. 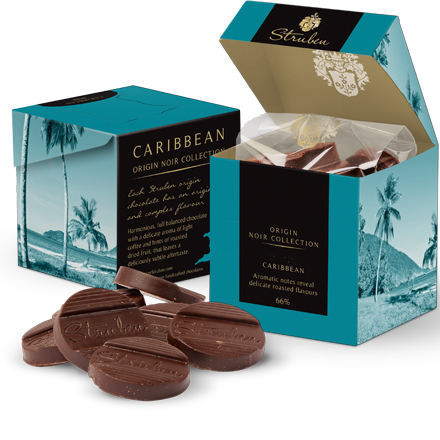 Twenty five years later, the partnership established at that time is still going strong and Struben now holds the exclusive rights to some of the best cocoas produced on the plantation. Tart, fresh redfruit hit reminiscent of raspberries, cherries and redcurrants, with a delicate almond and roasted hazelnut finish. ‘Taïnos’, is the name of the native people living in the Dominican Republic when Christopher Columbus first arrived there. When he landed on Hispaniola Island on December 5th, 1492, Christopher Columbus was trying to find a quicker route to India. He almost certainly had no idea that he was about to discover a land that would abound with cocoa trees some 500 years later and would even become the leading cocoa producer in the Caribbean. Which is how it came about that, today, Struben selects Trinitario cocoa beans from the Dominican Republic, grown on selected plantations that were planted a very long time ago on this, the island which boasts the highest mountains of all the Antilles islands, where the subtropical climate and violent hurricanes have turned the land into a patchwork of different terroirs. Struben’s direct partners first spent a long time working with the selected cocoagrowers on developing a suitable fermentation and drying protocol, which eventually gave rise to Taïnori’s very specific characteristics. An acid hit accompanied by the flavor of candied yellow fruit (e.g. pineapple). the body of the chocolate reveals notes of roasted almonds followed by a camphor finish. To the north of Madagascar, the Sambirano river flows down from the high plateaus and feeds a rich alluvial plain. This little corner of paradise is also subject to trade winds, which bring the humidity needed to grow the Criollo and Trinitario cocoa trees, varieties that have acclimatised to this very specific terroir and have been grown successfully there for decades. 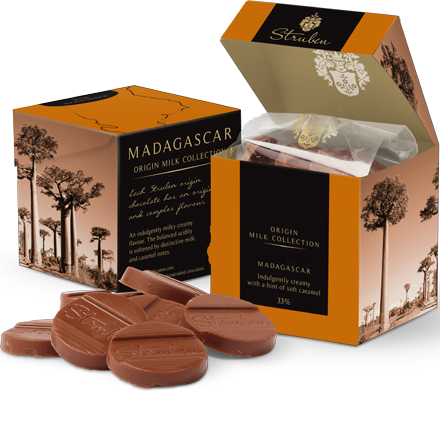 The first cocoa trees were introduced to Madagascar in around 1900, where they were planted in the Ambanja district, on either side of the Sambirano river. 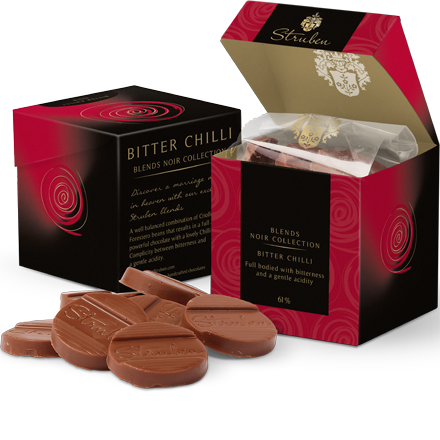 The variety was Criollo, which has light coloured beans reputed to produce the finest, most aromatic – but also most easily damaged chocolate. Ten to fifteen years later a more productive and resistant variety was introduced, called Forastero (aka ‘Tamatave’ in Madagascar). 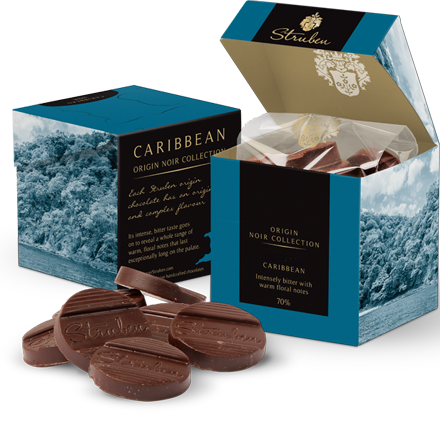 By crossing these two types of cocoa, growers obtained Trinitario, which has all the aroma of Criollo but the vigorousness of Forastero. 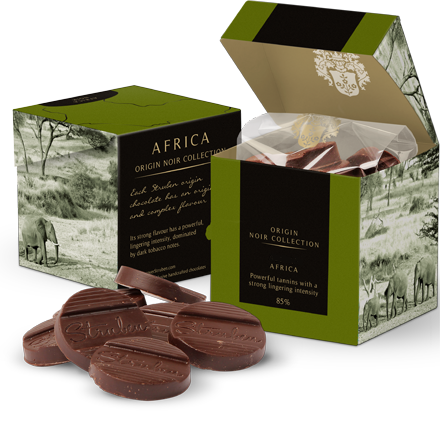 On the plantations of Madagascar, where great cocoas are born, these three varieties are still grown, but Madagascan cocoa mainly owes its excellent reputation to Trinitario’s strength and Criollo’s fine flavour.